This recipe is one of the easiest and scrumptious for all the people who are fond of corn on the cob. I always thought that cooked corn on the barbeque grill is going to taste the same as cooked in the oven but it is not so! It definitely tastes better and is much simpler to cook. When I realized this, I have been making corn on the cob almost every day and my family is waits eagerly for me to prepare their favourite snack! Prepare your oven by preheating it to 340 degrees. Set the setting on roast. Put your corn on the cobs directly in the oven on the oven tray don’t remove the husk leave them on. By letting the husk stay the heat is trapped in and the moisture facilitate in cooking the corn. Now you should remove the husk from the corn which you will find is much easier to do after roasting than it was to do in its uncooked state. If you are going to be savouring your corn outdoors you can leave use the husk as a handle after peeling them off your corn but if you are planning to have your corn in doors I would recommend using a corn holder as the loose silk will scatter all over your place. So cut of the husk with a sharp knife while holding the husk back. Not only that this method is simpler it is less messier saves on energy and the house gets less heated. Not only this you can leave your corn in the oven and get on with your other work. 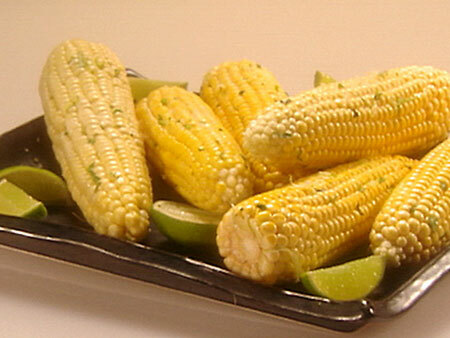 From all the other recipes to make corn this brings out this recipe brings out the most distinctive flavour.